The NQ Dry Tropics Regional Landcare Facilitator (RLF) works towards developing a skilled and capable landcare community by nurturing partnerships and providing access to funding, training and information. The landcare community includes Indigenous and natural resource management (NRM) groups, landholders, and industry bodies. The RLF supports farmers, fishers and land managers to identify and adopt sustainable farm and land management practices that reduce agricultural emissions and help them adapt to changing climatic conditions. The RLF delivers community and farm-based events, including workshops and field days, often in collaboration with other NQ Dry Tropics projects. 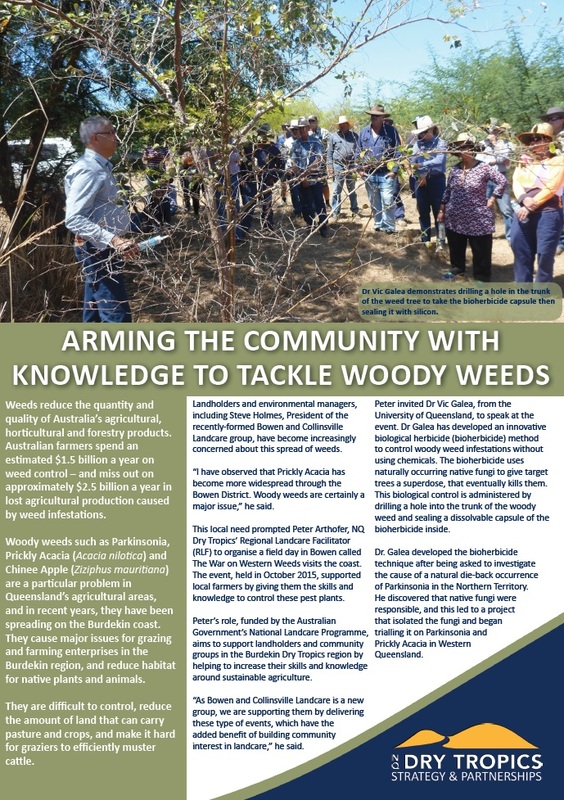 Read the latest e-newletter from our Regional Landcare Facilitator and subscribe to receive the latest issue direct to your inbox. 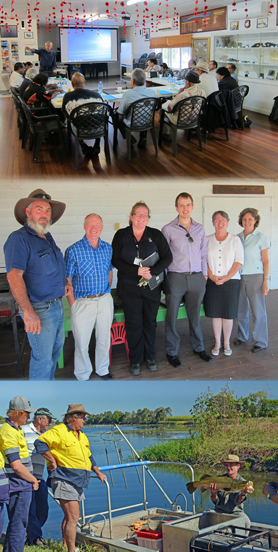 The Australian Government’s National Landcare Programme funds the RLF role.